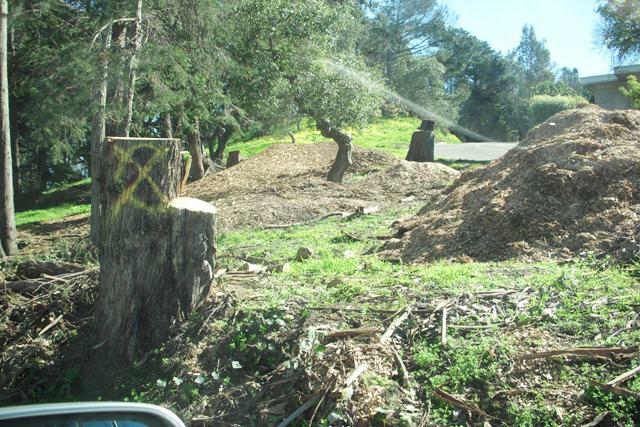 People have started writing to us about hundreds, perhaps thousands, of trees being clear-cut on Treasure Island – beautiful, healthy trees being destroyed. It’s happening right now. “The work of the nativists? Looks like it to me. Otherwise why remove entire stands of healthy trees? “I, for one, am sick and tired of this disgusting, unsupportable destruction that has no scientific or practical basis. These actions go beyond normal landscaping or aesthetic decisions. The city will suffer the effects of these actions for decades to come. The huge eucalyptus trees of Treasure Island are among the sites where Monarch butterflies have been known to overwinter. 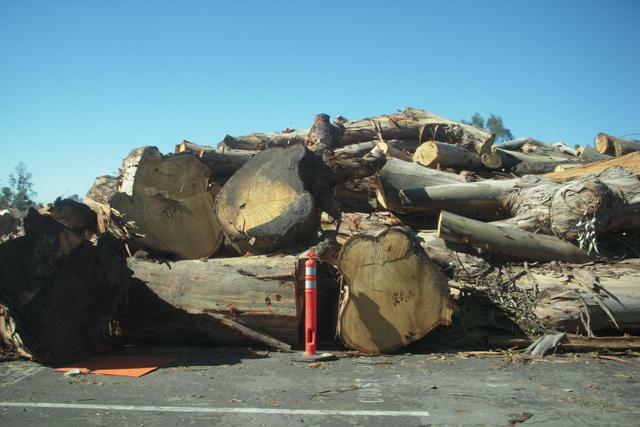 Eucalyptus trees are great at sequestering carbon because of their dense wood, their fast growth, their huge size, and their long lives… if they’re not cut down like these trees here. How many tons of sequestered carbon are now being released? How much monarch butterfly over-wintering habitat has been destroyed? How much tree cover for birds and animals has been removed? How can San Francisco call itself a green city with this tree canopy shrinkage going on in these times of global warming? This is absolutely insane!! Are the inmates in charge of the asylum? It will be interesting to see the consequences of such tree removals on an island with steep sides to the ocean. Will the land erode into the ocean when the roots die in a few years? Projects like these are happening all over California. In each case, those who demand these projects claim that there are no consequences because the projects are so small. 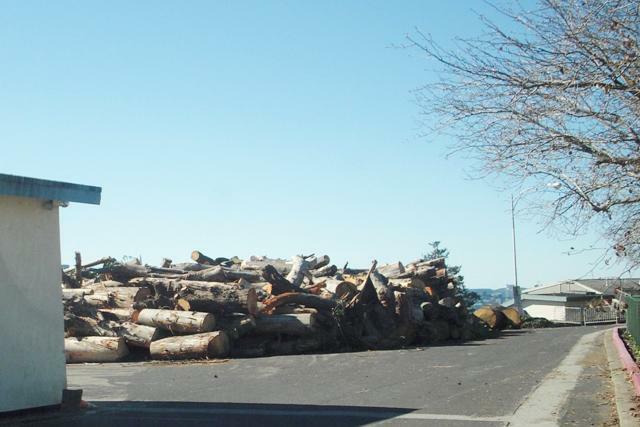 They fail to see the cumulative effect of destroying so many trees. Where will the raptors nest? Where will the hummingbirds get nectar during the winter months when nothing else is blooming? 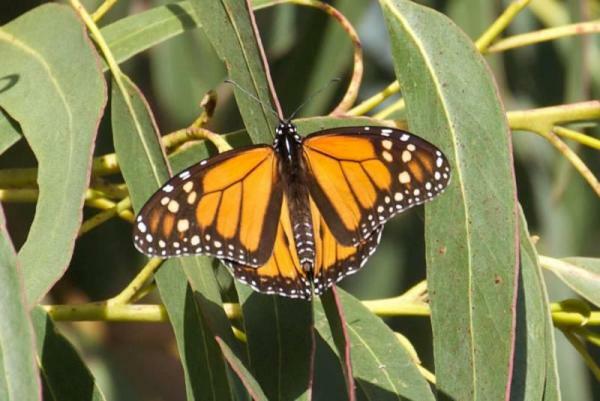 Where will the monarch butterflies spend the winter months? How much more pollution will the Bay Area experience? How much carbon will be released into the atmosphere? These are some of the questions that we ask and no one will answer. Why is there such a movement on to denude the hills around and in San Francisco. It is sick and what is going to hold the soil? Do we never learn a damned thing. Why in hell are they cutting down these trees. Has anyone ever heard of an explanation for this. It is totally insane. What in hell is going on. Cutting down all of these trees for what purpose? It is disgusting and needs to be stopped now. I have been proud to be a native San Franciscan for over 70 years – until recently, when all the trees started disappearing. This City will be much poorer and less livable when all the trees are gone, and with them the wildlife and clean air. 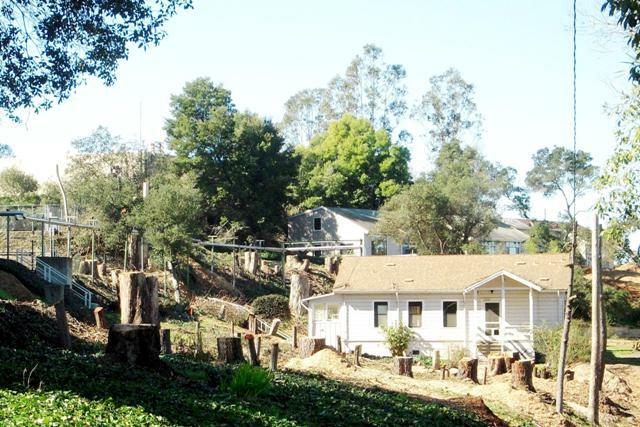 My daughter had planned to move back here because she loved growing up here, across from Glen Park canyon. I told her to plan to stay where she is – all we can see from our house now is a playground, tennis courts, streets, cars, houses, lights, and black soot on the window sills. We used to see, hear, and smell the trees, lots of trees. We loved them. No more – most are gone. This is just another instance of humans thinking they should control nature. Maybe the eucalyptus trees were non-native, but they are loved and have managed to provide a lovely canopy and some habitat. 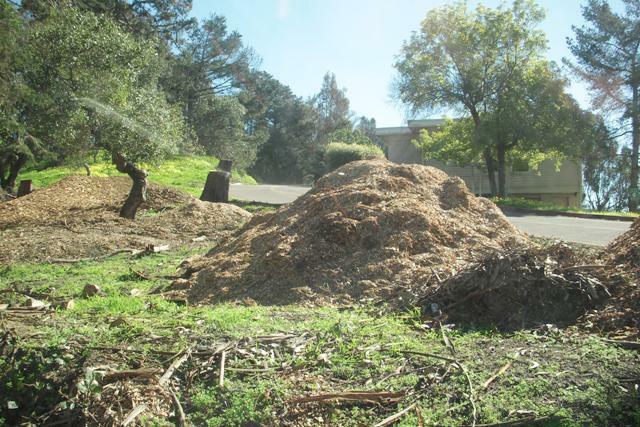 Unless they are being replaced with a super valuable species such as Coast Live Oak, it is a mistake to destroy a living thing that provides such loveliness in the built environment. 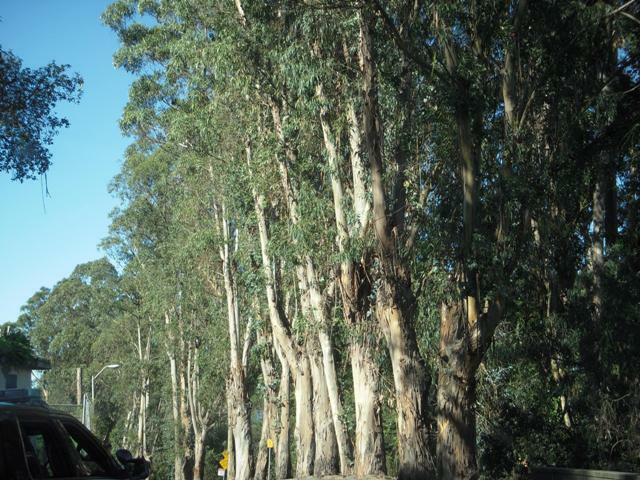 To replace these eucalyptus trees with coast live oaks would probably take two life times to grow. And why cut these trees down with it looks like no plan for the future?